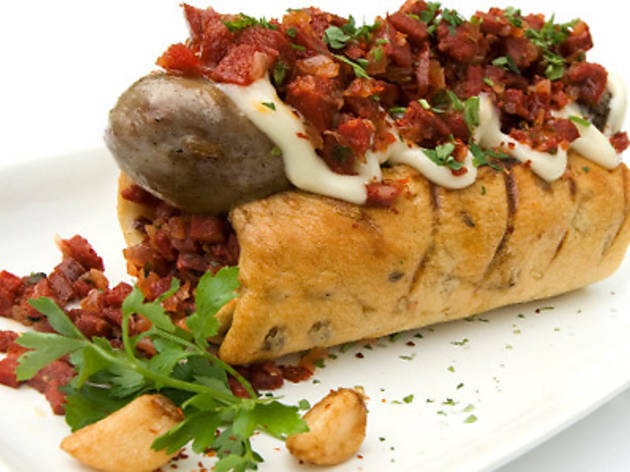 Trust the Spa Esprit Group (Skinny Pizza, House and 40 Hands) to pioneer another reinvention: chunky gourmet beef, pork and chicken sausages resting in plain and multigrain breads, slathered with ten flavour combinations. 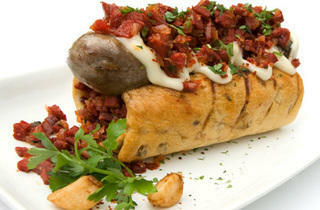 The bigger-than-usual buns are made in-house every day and are baked to a shape that cradles the sausages and toppings. The original start-up dogs at 40 Hands have made the journey (Ang Mo Classic, Ottoman and Hokey Porky), as have House’s truffle fries, now also in jumbo size. Of the new offerings, we like the piccante meat-on-meat Speedy Spicy Gonzalez the most, with its sautéed, chopped chorizo, garlic mayo and chilli flakes. That is one carnivorous dog.